At CJ Sports we have provided a wide variety of sports equipment for schools for many years – enabling young people to enjoy a vast range of sporting activities while developing their skills and keeping fit and healthy. From discus throwing cage installation to cricket nets and sights screens, we can supply and install the kind of sporting equipment that will enable many different sports to be experienced and enjoyed safely by hundreds of users for years to come. As athletics season comes upon us once again, our sights turn towards the kind of sports associated with track and field. Ever since the early days of the Olympic Games, shows of superior strength that took the form of sporting events such as the discus and javelin have played a major part. Such demonstrations of skill and sporting prowess were put on as part of a religious festival held to honour the gods. In nearly 3,000 years, throwing the discus has continued to be a popular past time and discus throwing cage installation is still a requirement of many schools and sports clubs all over the UK who are looking to include this event in their curriculum. 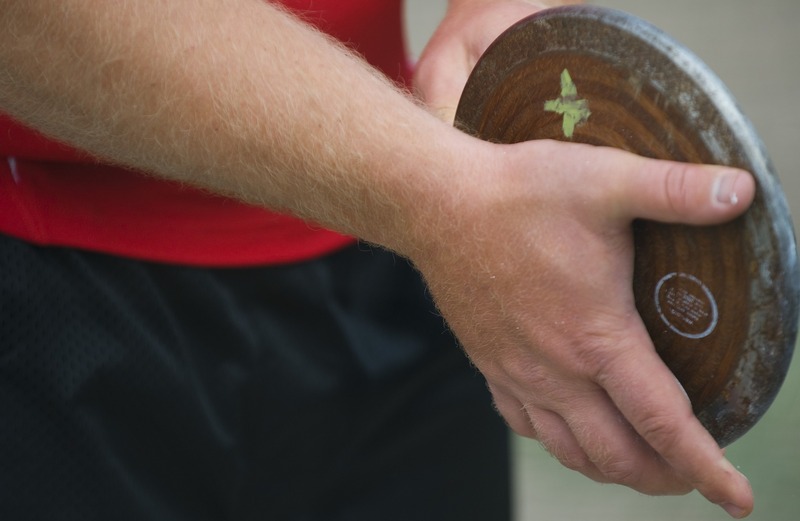 As one of the oldest ancient sports, discus throwing is a track and field sport that is played by throwing a heavy flat dish-shaped object as far as possible. It’s a bit like a frisbee, only smaller and heavier and the event dates back to at least 708 BC. Because of the heavy-duty nature of the discus, it’s important that people standing nearby, as well as the throwers themselves, are kept safe from injury. This is why a specially constructed cage should always be set up around the area where the discus is thrown. The importance of safety should never be underestimated when it comes to these kinds of athletics events as the potential for injury is very real when proper consideration isn’t given to the right techniques and sports equipment. At CJ Sports, we are great fans of giving young ones the chance to enjoy a variety of different sports and to improve their fitness through events such as The Daily Mile. When it comes to athletics, we have a range of cages for shot, discus and hammer, which are suitable for all kinds of uses from schools to sports clubs. All of them conform to IAAF standard with circles to suit. With over 35 years experience in a wide range of services, from minor repairs and maintenance through to new facilities, planning and installation management, we have developed a reputation for providing high-quality sports and play facilities for many schools, businesses and local organisations at a price that suits their budget. Our team can come and assess your current facilities and provide a FREE report to outline all options before making a decision. To get a free site visit and report, guaranteed to suit your budget, contact us and speak with a member of our professional team today. This entry was posted in Athletics on 30th April 2018 by Chris Campbell.